We have an open door admissions policy to ensure that every person has the opportunity to get a college education. There are no minimum admissions requirements (i.e. minimum entrance exam scores, minimum GPA or class ranking, etc.). The only requirement is completion of a high school diploma or GED. 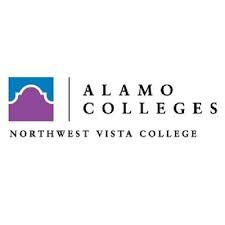 NVC admits students without regard to race, gender, religion, nationality, disability, age or color. Your classes will average 25 students, offering you more individualized instruction and interaction with faculty than at larger colleges and universities. We pride ourselves on creating a culture and climate that is inviting and friendly. Make yourself at home and enjoy learning in an inviting atmosphere where students are on a first-name basis with faculty and staff. You will have numerous opportunities to get to know our talented faculty and staff outside the classroom via student organizations and activities. There are also many opportunities to develop your leadership and research skills through various, co-curricular student programs.